Fun for all ages! 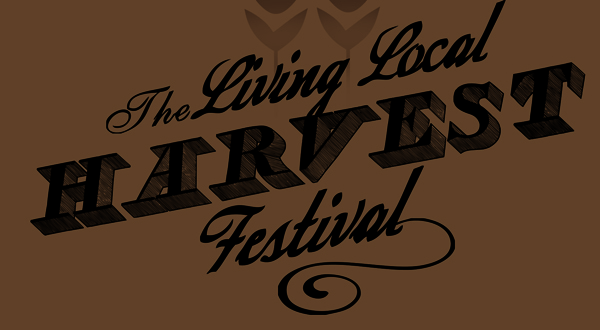 Local food, animals, live music, educational demos, and harvest fest games and activities. For more info, see poster. "I am glad I shall never be young without wild country to be young in." Tuesday, Aug. 26, 10:00 to 11:00 am, Edgartown. Program offering young naturalists a close-up look at native animals, combining a story, craft and a look at the "creature" of the day. For children ages 3 - 5 with a parent/guardian. At Felix Neck Wildlife Sanctuary, $9 ($6 for members). Saturday, Aug. 30, 9:00 am to noon, Edgartown. Bring your archaeological finds from the Vineyard and around the world to the MV Museum where a panel of distinguished archaeologists will help you identify, examine, and discuss them. $7 (free for members of the Museum), at the Museum's Library, 59 School St., Edgartown (map here). Weekly Saturday programs at the FARM Institute begin in September. Wee Farmers (age 2-5) from 9:30 to 11:00, $15 per session, must be accompanied by adult. For older kids, it's "Farmer for a Day" from 1:00 to 3:00, $35, may be accompanied or not. For more info, call 508-627-7007. Every Saturday, and this Wednesday the 27th, 9:00 to noon, West Tisbury. 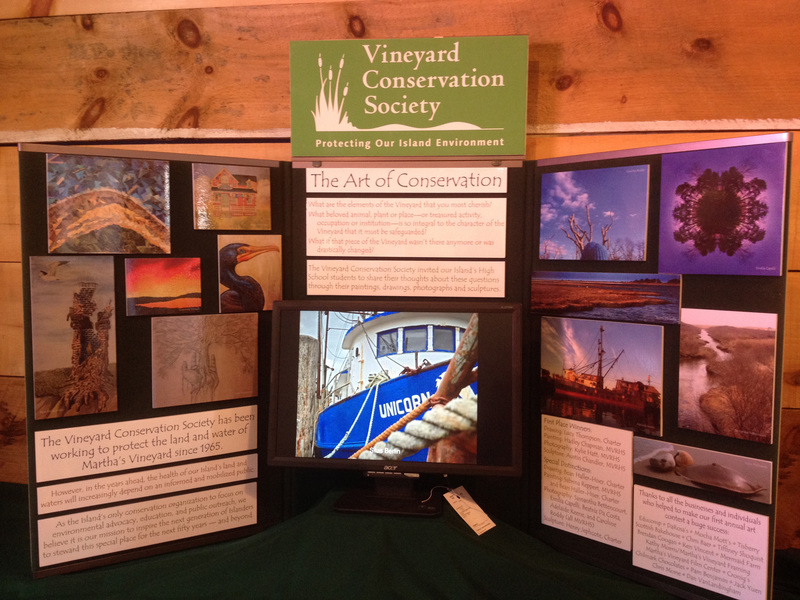 Thanks to all who came out last week to support the MV Ag Society and check out the educational display from VCS. 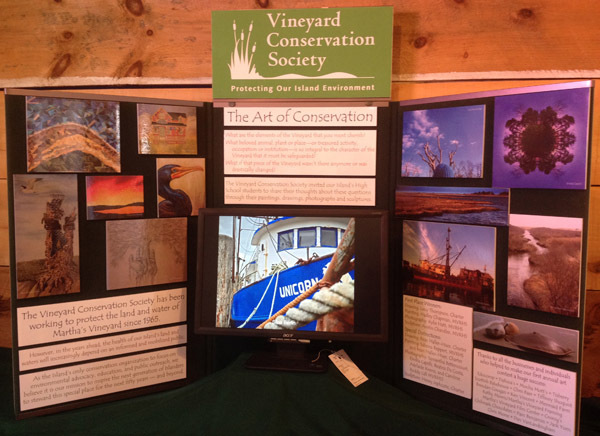 This year, we used our display to highlight the environmental consciousness of our Island's high school students. The 75 artworks entered in our first art contest -- The Art of Conservation -- were featured in a scrolling video display, surrounded by prints of some of our favorites. For the third year running we were proud to receive a Special Award for our display, this time presented by Tisbury Waterways, Inc. However, this year all the credit goes to the MVRHS and Charter School students themselves -- many thanks, and best of luck in the new school year! Tire pressure, that it (though a blood pressure monitor wouldn’t be completely wasted on some holiday weekend drives . . . ) Under-inflated tires lower a car’s gas mileage by .3 to .4% for every 1 psi below the proper inflation level. That means that a car running on tires that are 5 psi low gets about 2% lower fuel efficiency. This is actually a very common condition because many drivers will never notice moderately low tire pressure, as the tire wear and handling is still fairly normal. In a survey of 11,530 vehicles, the National Highway Traffic Safety Administration found that 39% of passenger cars had at least one tire 6 psi below the recommended pressure, and 20% had one that was at least 10 psi low*. At today’s gas prices, if all four tires were 10 psi under their rating, the corresponding loss of 3.5% efficiency costs about 20 cents per gallon. So before driving to the far side of town to save 10 cents on gas, make sure to check your pressure! *Apart from the abysmal fuel economy, that’s 20% of cars on the road with compromised handling and increased blowout risk, a real safety concern. Not a conservation issue, of course, but it can’t be ignored. Another interesting connection between safety and fuel economy is that over-inflating tires beyond their recommended rating does actually increase MPG. Of course, this is not recommended, even from the environmental perspective, as tow trucks and ambulances are not exactly designed for maximum fuel efficiency.